It is a great reminder to me what produce is in season and what I should be incorporating into our meals to get the best flavors. As I was perusing the list for summer, I came upon squash. I love all different types of squash particularly zucchini. My dad had a garden of zucchini when I was young and I can vividly remember steaming the home grown vegetable in the summer time. He was so proud of the fruits of his labor (as he should be because I have never had a more delicious zucchini). 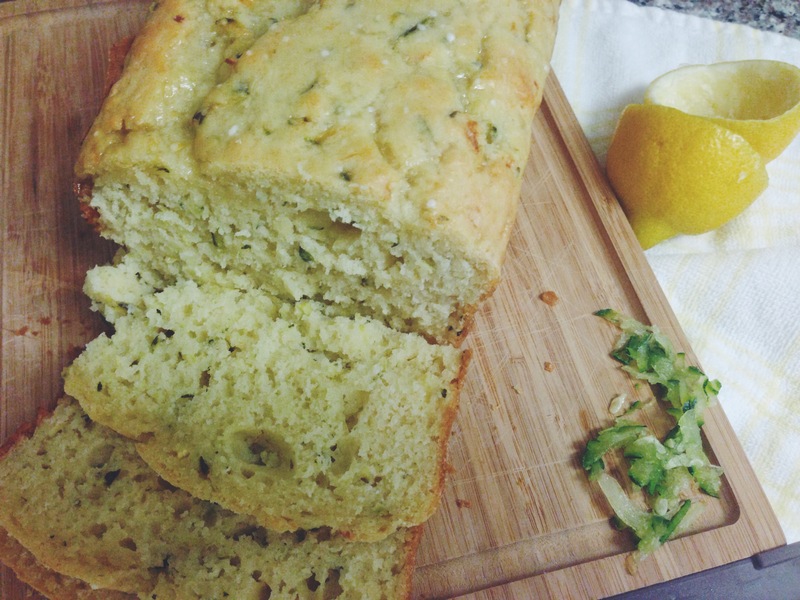 I decided to think of something else besides steaming where I could incorporate zucchini and I remembered one of my favorite recipes I found two summers ago. It is for lemon zucchini bread with lemon glaze. Those two flavors balance each other perfectly. It is also a healthier summer treat and can be easily taken to eat while on the go, which is a win win (especially when I am always tempted with chocolate covered raisins and almonds at the office). This recipe is on the easier side but the product is nothing short of scrumptious. The lemon glaze makes the bread melt in your mouth. It is melting in mine as I type. Do give this recipe a try! It would be perfect to bring to a Summer potluck! What is your favorite produce to use in your Summer meals? I am also obsessed with peaches and plan on making many meals highlighting the sweet and juicy fruit! 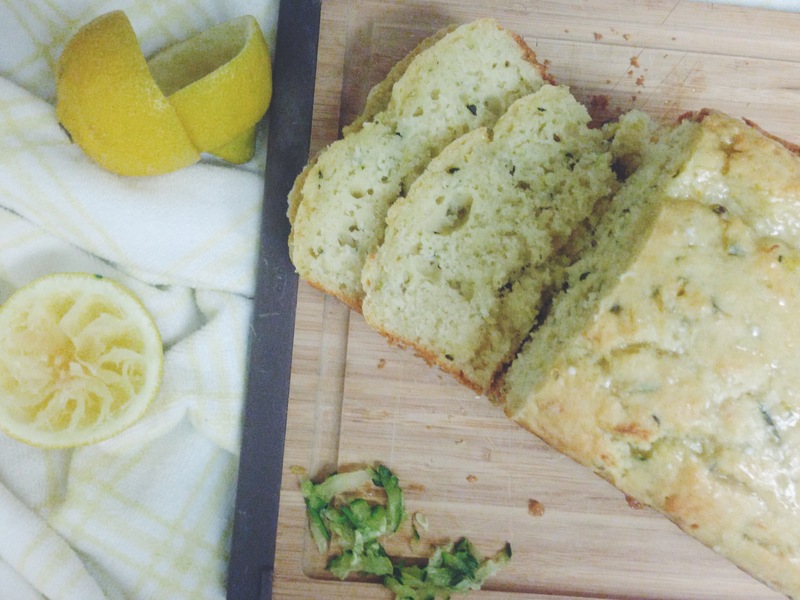 This entry was posted in Recipes and tagged bread, eat seasonably, lemon, zucchini on 07/09/2014 by Ems.